BTE Hearing Aids or Behind-the-ear hearing aids have been long-established. The hearing aid is placed above the ear and is attached to hollow tubing that connects to a custom built earmold. Sounds are collected by microphones on the top of the ear, amplified, sent through the hollow tube into the earmold and finally into the ear. Like custom hearing aids, the earmold is made by taking an impression of each ear and sending it to a lab. 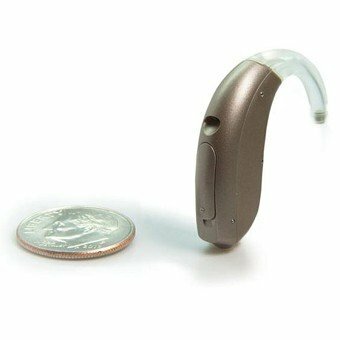 The BTE hearing aid is usually a bit larger than the open fit style and is used for more severe hearing losses.